Now that Thanksgiving is over, we can get back to giving 200%. At a recent Global Leadership program, an African-American leader asked a question specifically to the other 6 (out of 42 participants) African-Americans in the room: How many of you feel that you need to give 200% just to compete? After several heads nodded, my co-facilitator presented the question to all: How many of you feel that you need to give 200% just to compete? An attractive blonde woman said that as a woman working in a male-dominated industry, she had to give 200% just to be visible. A 30’s-something white male said that he always felt that he had to give 200% because he came from a disadvantaged socio-economic background. While the comments were helpful, what also loomed in my mind is: So does this mean someone who is Black, female, and poor equals 600%? Fred Astaire (née Frederick Austerlitz) is noted as the preeminent dancer of the 1930’s. Astaire could “dance on air.” His gift drew crowds to the cinema. He made 10 dance films with Ginger Rogers; six of them were the highest revenue generators for RKO Radio Pictures. 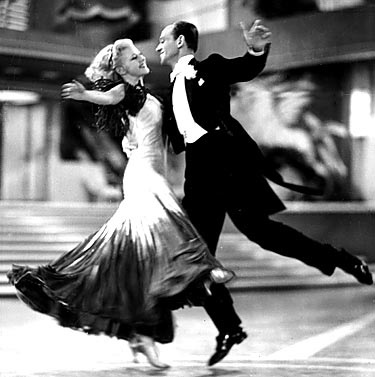 While most people gave Fred well-deserved credit, he would probably not have achieved stardom without Ginger Rogers, because his most spectacular moves were made in his couples-dancing. And, as one person said long ago, “Sure he was great, but don’t forget that Ginger Rogers did everything he did…backwards and in high heels.” Could we call that giving 200% just to compete? Is it possible that, at some point in our lives, we all feel that we must give 200% just to compete? What happens when you give 200%, and you get push back? A 40’s-something female, Brazilian financial advisor once asked me, “So the head of my office took me aside and told me not to be so enthusiastic in the morning. Does this mean I have to change who I am?” She would enter the office with high spirits and energy, wishing many a good morning. My question to her was: Tell me about your best clients…what is it about you that they appreciate? No brainer…it’s her enthusiasm. When someone presents us with their feedback, it is information (data) that is representative of who they are. It is what works for them. This is important for us to understand as leaders so that we can adapt to their needs, until they recognize the value that being a mirror reflection opposite of what they represent is actually what strengthens the firm. We cannot take several steps ahead in our dance, as we move to a pace and rhythm that works and matches them. This is what makes us both powerful. So, we re-direct our enthusiasm in a different direction; for this executive, it was away from the Managing Director and towards the clients. Who she is is not a deficit; it is an often-overlooked asset. As Susan Cain points out in her book on introverts living in a world of extroverts, Quiet, “…figures like Eleanor Roosevelt, Al Gore, Warren Buffett, Gandhi–and Rosa Parks—achieved what they did not in spite of but because of their introversion.” Being different can set you apart when you stay true to your purpose. My advice to the financial advisor: Keep being who you are, and know when to take a step forward and when to take a step back. In essence, be more of who you are; not less…just know when and where to move. Stretch, adapt, and do the Cha-cha. Rossina Gil, MSOD, MAIS, is a Leadership and Organization Development Practitioner, with two left feet, and the founder of Corporate Looking Glass, LLC – a diverse consultancy of OD experts and strategic thinking partners. We increase retention. Visit CorporateLookingGlass.com. Susan Cain. Quiet: The Power of Introverts in a World That Can’t Stop Talking. 2012. Pg 6. Six years ago, I came across the following adage: Make friends with someone aged 5, and someone aged 75. At the time, my second son could fulfill the earlier requirement, and that’s when I met my “gym buddy” Marvin Karelitz, aged 74. He was on the treadmill next to mine, and wanted to talk about political hegemony. Normally, I don’t like to talk while I run, because that’s my private thinking time. However, I remembered this adage about making friends with someone aged 75, and he was close enough to fit that criterion; plus, very few people wish to talk about hegemonic power with me. Institutional Knowledge. Nothing you share is ever the first time it’s happened. You can learn from others’ choices; and, avoid pitfalls. Quality Improvement. Idea generation results from hearing the response(s) to your situation; producing better decisions. Skill Development. Communication is enhanced when adapting how to provide context for the different generations. The above adage and my Sounding Board are examples of Diversity & Inclusion. Rossina Gil, MSOD, MAIS, is a Leadership and Organization Development Practitioner, a Frank Sinatra fan, and the founder of Corporate Looking Glass, LLC – a diverse consultancy of OD experts and strategic thinking partners. We increase retention. Visit CorporateLookingGlass.com. For several years now, I have no longer believed in coincidence. Everything happens for a reason. So it was this week that I happened to finally read Wayne Dyer’s Power of Intention, and had a meaningful conversation with one of my associates, Annette Flynn, who is a Connector. A Connector is someone who is connected to the Source – a power of energy which surges and galvanizes Connectors to motivate, build up, and inspire others towards positive development. Creating a Safe Place. Your presence instills calmness. When you coincide with intention, your impact on others has a calming influence. People tend to feel more at peace, less threatened, and more at ease. [The Power of Intention] asks nothing of anyone, it judges no one, and it encourages others to be free to be themselves. As people feel calmer in your presence, they’re inclined to feel safe, by virtue of the energy frequencies that you radiate. (pg 98). Building Trust. Your presence allows others to trust in authentic personal connections. By bringing the traits of intention to others, you allow trust to be present. You’ll notice both an inclination and willingness on the part of others to open up and confide in you. This is related to the quality of trust. In the atmosphere of higher energy, people trust and want to share their personal stories with you. (pg 101). Driving Employee Engagement. Connectors see the beauty in our world. Beauty proliferates in others just by virtue of your presence when you’re connected to intention. (pg 103). Celebrating Diversity & Inclusion. Every person you interact with should feel the inner glow that comes from being appreciated, particularly for the ways in which they express their creativity. When you’re just like everybody else, you’ve nothing to offer other than your conformity. Connectors enjoy the differences in the appearance and customs of others rather than disliking, criticizing, or feeling threatened by them. Connectors care about others, understand them, and are interested in them as unique individuals. (pp 237-238). Living Purpose. [Connectors] are all about living this purpose. You’ll see people who have no need to fit in or to do things the way others expect them to. (pg 254). Implementing Personal Development. Connectors never know enough! They find something to enjoy in all fields of human and creative endeavors, and are always expanding their own horizons. (pg. 255). Expressing Gratitude. Whatever life sends them, they say, Thank you. (pg 255). Great places to work will have these elements present. If so, it is because Connectors are present. 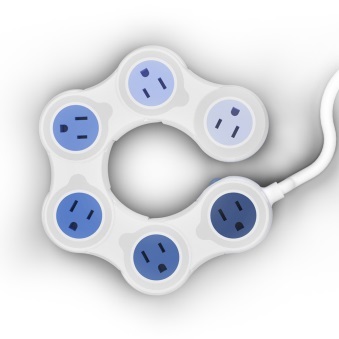 Connectors are the leaders who make the workplace successful, and organizations healthy. Hopefully, those leaders are also present in the C-Suite. Rossina Gil, MSOD, MAIS, is a Leadership and Organization Development Practitioner, a human conduit, and the founder of Corporate Looking Glass, LLC – a diverse consultancy of OD experts and strategic thinking partners. We increase retention. Visit CorporateLookingGlass.com. Once upon a time, the Japanese were known to be the workaholics of the world. Now, the statistical average shows it is the Americans who overwork themselves. The average American employee works 1,800 hours, which is more time clocked than any other wealthy/industrialized country. In addition, Americans are much more likely to work nights and weekends. Americans lead with 29% of its workforce working on the weekend, compared to 26% in the UK. So prevalent is the expectation to work long hours, and the belief to be grateful to have a job that works one from 9 am – 11 pm on occasion, that some of my executive clients have mused that they know their clients better than their own children. How does this behavior impact the holidays? Thanksgiving is traditionally the most widely travel day of the year to reunite with family. Yet, this year 2014, Kmart and Sears (both owned by Sears Holding Corporation) will be open 42 hours straight on Thanksgiving Day. The internal pressure to make financial ends meet plus the external demand by employers to work, lead many Americans to forsake quality time for capitalistic gains. How likely is it that this behavior has largely contributed to destroying the very fabric of our greatest strength…our identity as a cultural unit? We have become Individualistic to a fault. This behavior to survive (and “Keep up with the Joneses” – Kardashians?) in a capitalistic society has torn at the very seams of our raison d’être, and threatens our legacy as a nation. * European countries, such as Austria, France, Germany, Switzerland, and Norway, close most stores on holidays. CALL TO ACTION: Refrain from shopping on Thanksgiving; save it for Black Friday. Shortsightedness, for immediate gain versus long-term results, can become a detrimental habit that leads to irrevocable time wasted/lost. No body has “I wish I worked more,” inscribed on their gravestone. 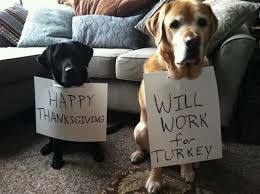 Enjoy your family, and be thankful this Thanksgiving that you have one. Rossina Gil, MSOD, MAIS, is a Leadership and Organization Development Practitioner, an adult orphan, and the founder of Corporate Looking Glass – a diverse consultancy of OD experts and strategic thinking partners. We increase retention. Visit CorporateLookingGlass.com. * China is highly collectivistic; it has three of the world’s highest revenue-generating companies, followed by JP Morgan.